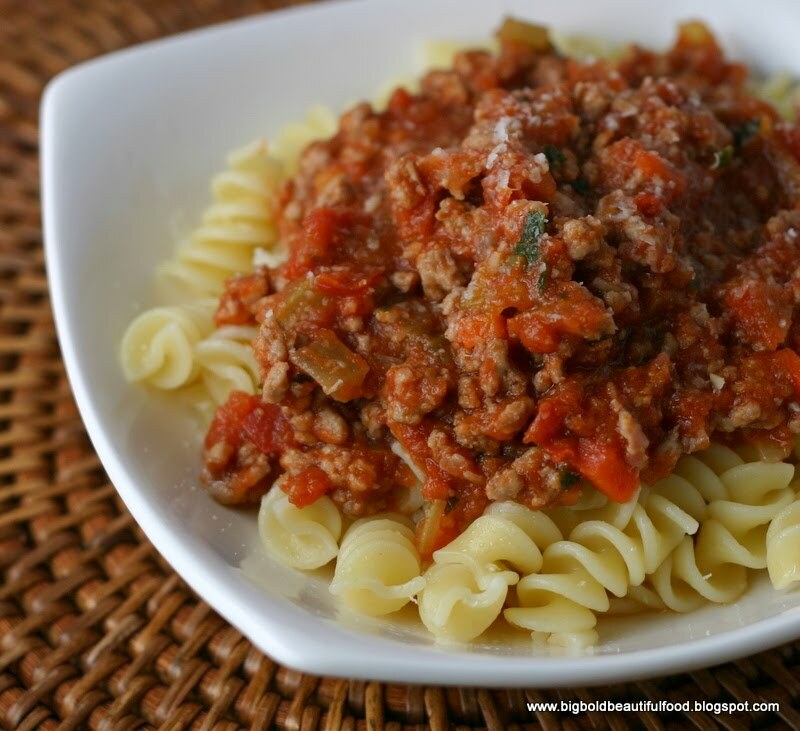 My daughter Christina and I learned this ragu in an Italian cooking class, and we were blown away by the flavor. Pancetta takes this sauce from average to heavenly. This ragu can be used over pasta, in lasagna, and in risotto. When cooking 2 cups risotto, add 1 and 1 1/2 cup ragu five minutes before it is done and cook for five minutes. Mix in 1 cup freshly grated parmigianno reggiano and serve with additional cheese. Melt the butter with the olive oil over medium heat in a large pan. Add the onion, celery and carrot and sweat for fifteen minutes until soft ( the vegetables should not be browned). Add the pancetta and meat, and cook until lightly browned all over, stirring often, for about ten minutes. Pour in the wine and reduce for three minutes. Season with salt and pepper, and fold in the tomatoes, broth and milk. Partially cover the pot. Simmer and stir a few times until the ragu reaches a medium-thick consistency, about 1 1/2 hours. If you like it thicker, uncover and simmer until the consistency you like. I am in the process of making this sauce and as I was making it I became a little confused as to whether you it calls for 2 - 28 oz cans of puree or a total of 28 oz's of puree. After adding the first 28 oz can it looks to me like that is plenty. So...can you post a new recipe that I can use my second opened can of puree? Hi Anonymous. I 2 28 oz. 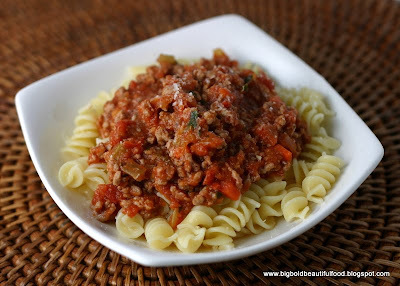 cans of tomato puree or crushed tomatoes for that much meat, because if you simmer it for a few hours, the liquid will evaporate and concentrate flavors. I cook the sauce in a 5 quart dutch oven.